Congratulations to our 2016 Eat’n Park Caring For Kids Car Raffle Winner! 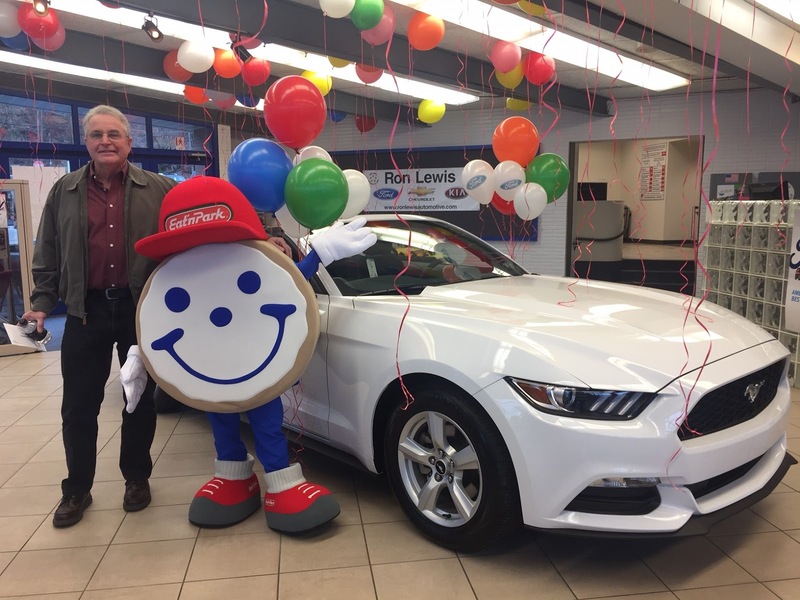 On Tuesday, we presented the winner, Jim P. of Columbiana, OH, with his brand new 2017 Ford Mustang Convertible! Jim purchased the winning ticket from our Chippewa Eat’n Park. We'd like to thank our friends at Neighborhood Ford Store for graciously donating a vehicle for this raffle. Our car raffle generated over $120,000 for our Caring for Kids campaign, which benefits local children's hospitals throughout our footprint! Enjoy your new ride, Jim! After a busy holiday season, you deserve a break – and a coupon for $2 off your next purchase! Trying to stick to your New Year’s resolution to eat healthier? Our endless Soup, Salad & Fruit Bar is the perfect solution! Coupon valid Monday, January 9 – Sunday, January 15.